And now I know three quarters of you just dismissed this book with that information but hold on! A timeless fairy tale that’s been told all over the world, if you are going to make a step into the realm of science fiction, this is the place to do it! Would I recommend it? Yup, I would. I know. Crazy, right? 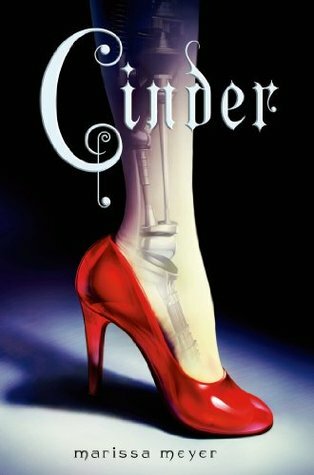 But Cinder’s no wimpy Disney princess, she’s a cyborg mechanic! But I do have to warn you, there are two more books after this and the fourth is coming out really soon and they are fantastic and large and really hard to put down! This entry was posted in book review and tagged book, book review, NaBloPoMo, NanoPoblano, recommended read, sci fi. Large good books I cannot do anymore. Bad for my health. I oft neglect meals in favour of extended reading. Time ceases to be and all I know are the pages. I eventually find myself at the end of the book, rings under my eyes and a grumbly tummy, smiling and thinking I hope there’s another book. In other words, this book could kill me. One day a book shall end me before I reach its end. And the worst part is never knowing how it ends. That’s why Star always reads the end of her books first. I disagree greatly with this practice calling it unethical but what can you do? Totally unethical! People who do that should be required to serve food to those who don’t and are stuck in a good book waiting to see how it ends as penance for their crimes against books! If I could have bananas and apple juice I would want for nothing! I love The Lunar Chronicles!!!! Such a great series!!! I’ve read the first 4 books already. Can’t wait to read Winter!! Oh wow…. I probably should get it from the library but I’m so obsessed with my private library that I always purchase them. Did you read Fairest? It’s about the evil queen.